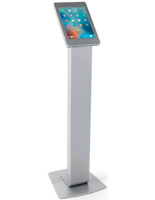 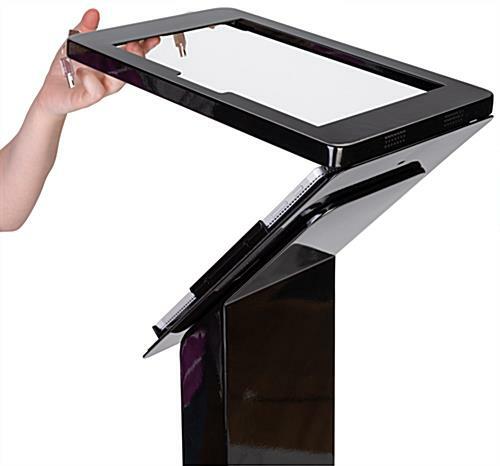 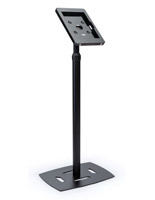 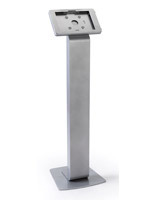 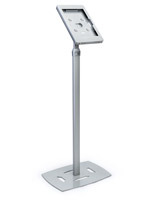 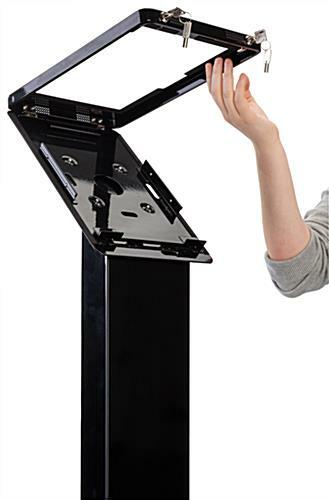 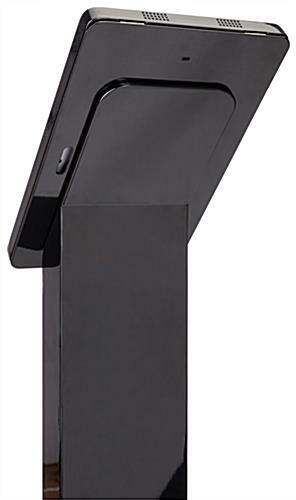 This Surface Pro lockable floor stand is a wonderful way to share information and engage with guests using the enclosed Microsoft tablet (not included). 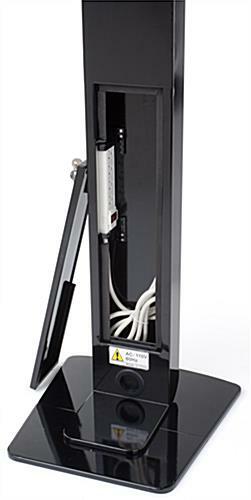 A power strip is placed within the base of the kiosk to provide cable management that will ensure the display looks neat and professional. 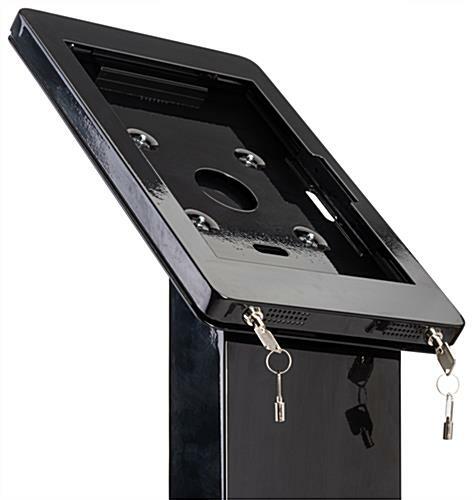 The black lockable floor stand allows patrons to have access to the camera, while all other buttons are covered by the aluminum enclosure. 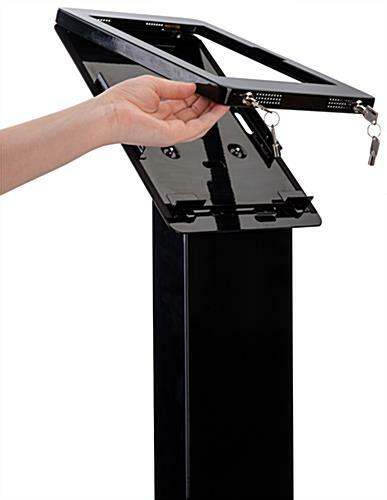 Two locks provide security and peace of mind to ensure that your Microsoft tablet will not be tampered with. 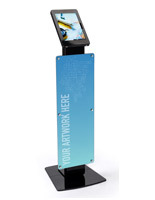 Each kiosk is keyed alike making it simple to manage and maintain multiple units in one location. 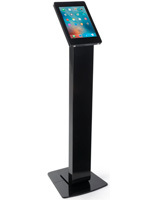 The lockable floor stand enclosure, complete with security locks and cable management, can provide businesses with a secure means to allow customer check-ins or other interactions! 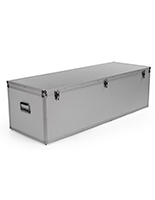 17.4" x 56.0" x 17.5"
17.4" x 0.25" x 17.5"
9.0" x 14.0" x 1.0"